OUR REFERENDUM BALLOTS are in the mail, and God and Canada Post willing, they should arrive in our mailboxes any day if they haven’t already. 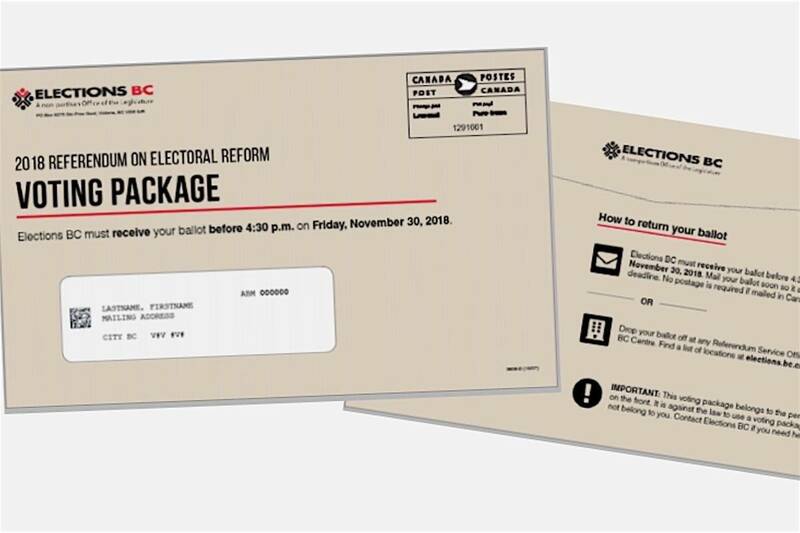 The voting packages are due in Kamloops now, and in various other places in the province through next week. In the opinion of some supporters of proportional representation there shouldn’t even be a referendum; the government should have just changed the system on its own. But, the referendum period is with us, and the question is what to do about it. The complicated nature of the prop rep systems on offer has been the biggest challenge for supporters to deal with, but it could end up working in their favour. A low return on the mail-in ballots not only would not provide a clear expression of the will of voters but could also skew the outcome. A simple 50 per cent plus one will win, and there’s no minimum turnout. If those who can’t figure out prop rep simply file their ballots in the waste basket, the referendum will pass because motivated PR supporters are going to be darn sure to vote. That could result in a very small percentage of eligible voters making the decision. If, on the other hand, confused voters take the safe approach and vote No in hopes the process will be done better at a later time, that could change the result in a different way. This is one time we can’t leave it up to everybody else to make the decision. Whether or not a low turnout will help one side or the other is speculation, but a high turnout is the best option of all. It seems pretty ironic to me that they are using a voting system of “first past the post” to determine if we want to use proportional representation. So a politician says trust me and I will provide the details after you approve it. Well there you go, I certainly would have no problem believing him if only he was riding a unicorn. I think they should have picked the best system (based on expert recommendations) and then trialed it for a few elections before holding the referendum so all of us – for and against – could have seen how it actually works for us before voting. We would be able to make a much more educated decision without so much speculation and fear mongering. Regardless, there will be another referendum in a few years if we switch to PR. Why not give it a chance – our democracy is strong enough to have a few elections with a new system to see if we like it. It is still unclear which PR system should be tried but that ain’t as worrisome in my opinion as the advertisements from the “No” side. Fear of the (relative) unknown is disproportionate and past societal advancements were fought equally ruthlessly by a conservative mindset.